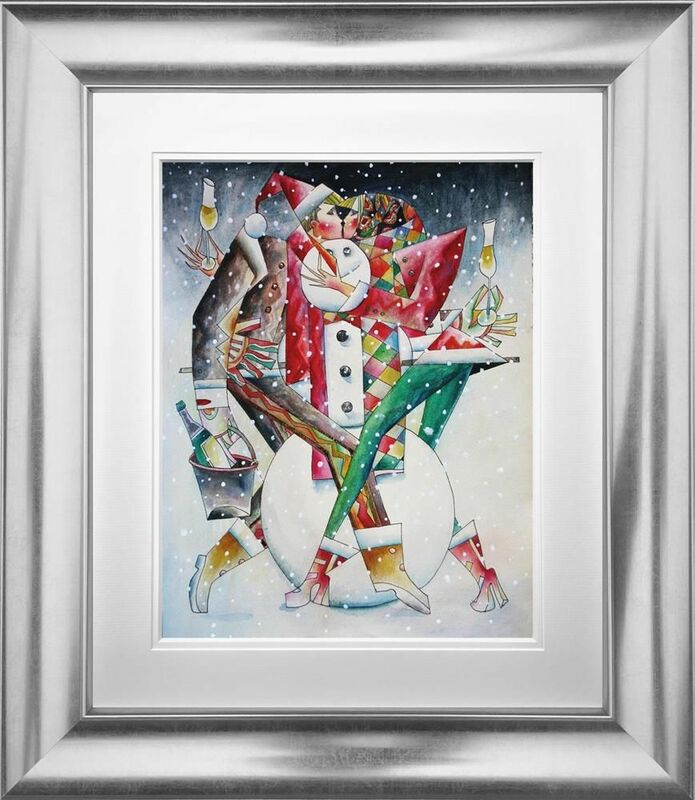 Winter Games by Andrei Protsouk is a mixed media original painting. The soul of Andrei’s artwork is his infatuation with human relationships, love and beauty; the artist believes that “the universal language in the world is love.” Taught under the revered master artist Evsey Moiseenko, a contemporary of other master artists including Pablo Picasso and Marc Chagall, Moiseenko heavily influenced Andrei’s Art. Born in Ukraine in 1961, Andrei Protsouk completed his Masters Degree in Fine Art at The Russian Royal Academy of Arts – one of the most prestigious classical MFA training programmes in the world which transcended from the European Baroque Masters of the 18th Century. During his classical training, Andrei was taught under the revered master artist Evsey Moiseenko. Moiseenko, a contemporary of other master artists, including Pablo Picasso and Marc Chagall, heavily influenced Andrei’s Art. 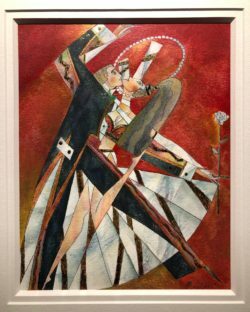 Since moving with his family to the USA in 1994, Andrei has exhibited in galleries across the world with his work collected by both private collectors including former President George W. Bush and corporate clients such as: Coca-Cola, Johnny Walker Expo Co and Imperial Cosmetics. Andrei has coined his technique of embedding straight, constructive line into all of his artwork as “Fine Line.” The language in his paintings can be seen as a continuous folly between his inner Russian roots and Western life and the soul of Andrei’s artwork is his infatuation with human relationships, love and beauty; the artist believes that “the universal language in the world is love”. 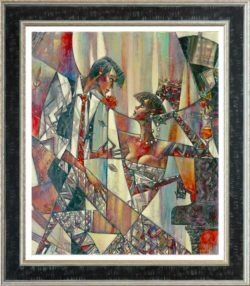 With collectors and investors worldwide clamouring to secure work by the international artist, it was little surprise that in 2015, artwork by Andrei was recognised to have valid credibility and investment potential on Channel 4’s ‘Posh Pawn’ – with one particular collector realising a profit of over 500%. Today Andrei lives in Pennsylvania where he has his own studio and lives with his family. Protsouk now exhibits his art globally with his work represented in Europe, New Zealand, Japan and the USA.